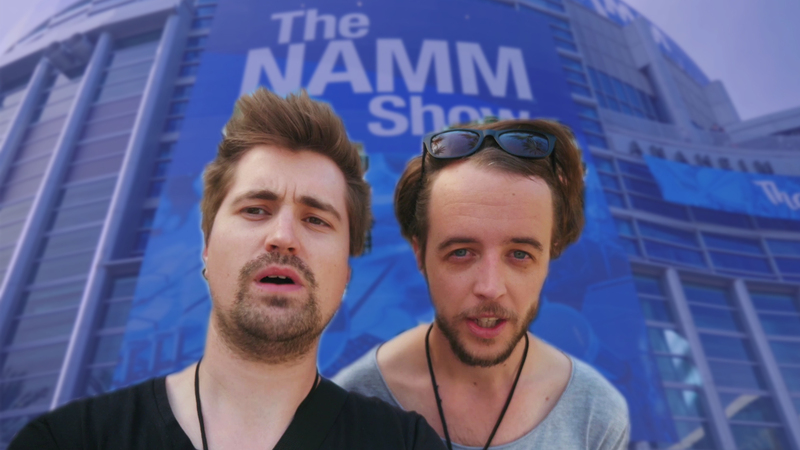 Musicisum does NAMM 2019 - Why are we here?! Victorious music. Victorious sunshine. It can only mean one thing. We're at NAMM 2019! Welcome to the first of (hopefully) many videos where we get back in front of a camera to bring you in on everything that goes down with Musicisum. This year we're going to make it our mission to film as much as possible. We're hyped about this idea of being a "modern musician", and how so much goes into being a professional musician outside of playing an instrument. We started Musicisum because of our passion for music and wanting to enable as many people as possible to learn an instrument or musical skill in a friendly, unrestricted environment. So, why are we at NAMM 2019? Well, for three reasons. 1. It's a great place for us to meet new companies and people who we might want to collaborate or work with. 2. It's a rarity that so many friends in the music industry are together in one place. This is a great chance to catch up! It's also a good time for us to reflect on the year before, and make sure we are remaining open-minded and dynamic as a business, and that we are still working towards our goals. This isn't a video where we cover and demo hundreds of new products. Look no further than the team at Andertons Music who do a staggeringly good job of that. This is just us turning the camera on and capturing a bit of our time, with the intention of doing this kind of thing much more often from now on. So, here we are, a little late to welcome everybody into 2019, but we hope you're doing great, that you're enjoying learning music, and thank you for sticking with us!